Fashionable Heart: Happy 11th Birthday, Fashionable Heart! Happy 11th Birthday, Fashionable Heart! 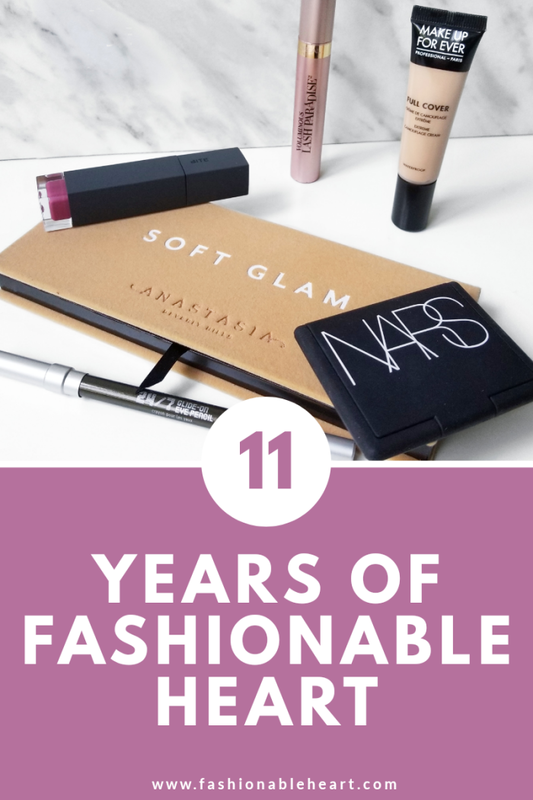 Today is the day that my blog turns eleven. Eleven years old! What?! My blog is basically in middle school now. On its way to preteen territory. And that's crazy to think about! I've been at this a long time and I guess I just haven't run out of things to say or the want to say them. That's the true power of blogging, isn't it? May all of the naysayers that say blogging is dead be wrong, because I think blogs are still as relevant as ever. You can look at all of my past blogiversary posts to see more of what I think about this blog, what it has allowed me, and just how much I love it. None of that has changed. Another thing that hasn't changed is how much I appreciate all of you. Without readers, I'd just be talking to myself. Now, that wouldn't be much different from my everyday life (haha! )...but it means the world to me that you stop by to read my thoughts, look at my pictures, and support me on this journey. Some of you have been here since day one and that is not lost on me. I'm so happy that I have gotten to know so many of you and formed friendships. I believe support shouldn't be one way. I love supporting you, reading your blogs, following you on social media, and meeting you! Paths that may not have crossed if I had never hit publish on this site. That's a strange and wonderful thought! So thank you from the bottom of my heart for everything. Here's to another 11 years? Well, you never know!